Designed and built in 2000 by Ted Temple. This wonderful estate isapprox. 4000 sq. 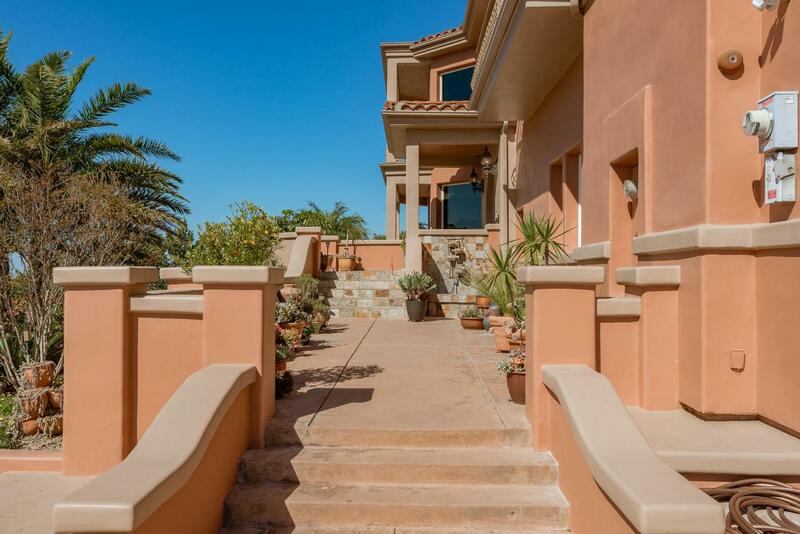 ft. Amazing 270 degree views of the Heritage Valley,South Mountain, the Oxnard plain to the ocean. Boasting 3 BR & 4 BAplus family room. Separate entrance to guest quarters on lower level.Large gourmet kitchen. Custom maple cabinets. Spacious privateelevator with direct access from garage to both upper floors.Oversizedgarage with high ceilings and with room for motor home parking andan installed clean out. Detached adjacent workshop space locatedin the garage with lots of storage.Approx.half acre hillside view lot. The back yard has views of the Topa Topa Mountains in Ojai. Sold by BRE#00893591 of Re/Max Gold Coast Realtors. Listing provided courtesy of Fred Evans DRE#00893591 of Re/Max Gold Coast Realtors.